Chris Skiles is the Director of Forensics (Debate) at Cal Poly. As a forensics educator for more than 24 years, he has coached numerous national and international championship teams in American policy debate and in World’s debate formats. 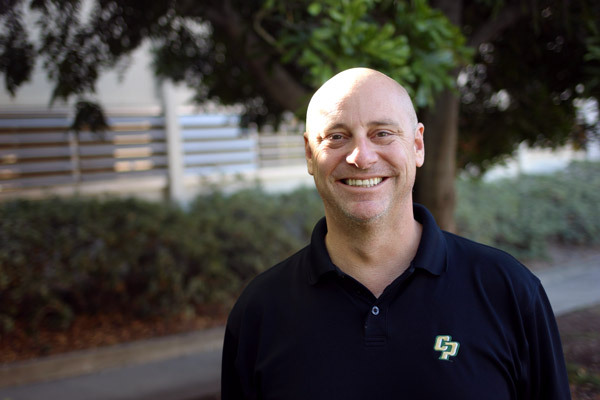 He debated for Cal Poly as an undergraduate, and, after completing his doctoral course work at The University of Iowa in Rhetoric and Public Advocacy, joined the Communication Studies faculty in 2002. His academic and research interests include critical cultural studies, rhetorical theory and criticism, media studies, argumentation, and indigenous/native studies. In particular, Skiles explores how indigenous populations resist and confront dominant, colonial logics and legislation. Within the realm of argumentation studies, his primary focus centers on how marginalized groups use public advocacy to affect reburial and repatriation legislation in the United States and internationally. Within the realm of media studies, he focuses on how popular culture, paradoxically, resists and reinforces hegemonic structures.